To users on Mortal Kombat Online he's known as Bleed: A long time contributor with a talent for developing characters in 3D models & 2D sprites [gallery]. To date; Gabriel "Bleed" Melendez has been noted as one of the driving forces behind a much discussed fan-made Mortal Kombat (1992) HD remake. His talents as a character artist have been exemplary, producing a professional level of content that has had fans salivating, and license owners justifiably concerned. After 20 years as a successful franchise, its the sequel to the eponymous Mortal Kombat that many still regard with fondest memories. For fans who live and bleed Mortal Kombat, however, the tournament-centric original can never be completely forgotten. Such is the dedication of a focused group of industrious fans, who've applied themselves to independently designing and developing a playable revamp of the original dubbed: Mortal Kombat HD. 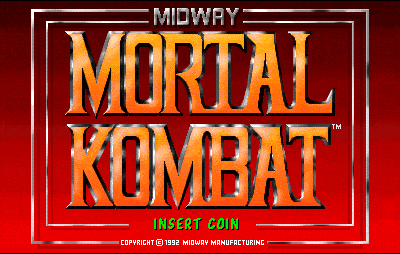 Determined by consensus; the objective of Mortal Kombat HD was to create a slavishly complete, high definition remake of the 1992 arcade classic. Built from the ground up, using popular 2D freeware engine MUGEN as a playable base and 3D models -- the project would be made of all original resources, designed to imitate the original as exactly as possible. Therein would lie the problem, however, leading to an effective shutdown of any intention to release a working product, rendered by Warner Brothers late last week. While the enthusiasm of fans may lead them to desire otherwise, Warner Brothers' position represents an open and shut case. Imitation may be the sincerest form of flattery, but it's also a self-evident example of copyright and trademark infringement. Exceptions may exist at the prerogative of intellectual property owners who choose to overlook infringements, but they are always within their rights to shut down unlicensed fan projects. On the surface, this would appear to be an effective end to the MKHD fan game as it was intended. To release any playable version to the public would be to court personal ruin. No fan will play it. Much less clear, however, is the exact motivation for Warner Brothers' intervention. While there is broad intellectual property protection and brand management to consider -- there is an extensive history behind MKHD.